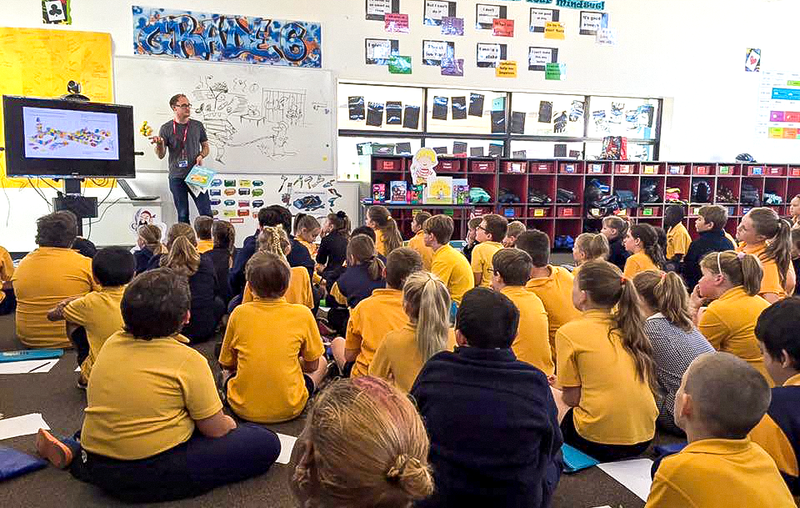 Did you know I visit schools and run presentations and workshops about illustration and visual narratives? Please get in touch with Booked Out Speakers Agency to enquire about a booking. My favourite foods include overstuffed burritos, green spaghetti and big bags of chips! My favourite colour is pink. My second favourite colour is red. The first book I illustrated was ‘Give Me a Home Among the Gumtrees’ by Bob Brown and Wally Johnson (Scholastic Australia). My favourite book AND movie is Jurassic Park. I’m also a HUGE Star Wars fan. Ahsoka Tano is my favourite character. I have a twin brother. We swapped places once when we were in primary school- and my teacher didn’t even notice! BLAST OFF! Colour in the planets!